Aveo is an experimental creation self-initiated by Full Swing Studio. 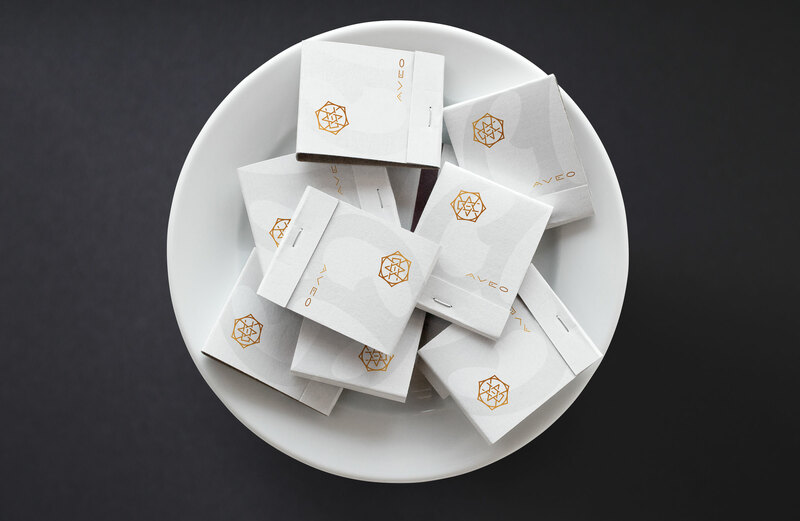 The aim was to design a full brand identity for a high-end, chef driven restaurant. 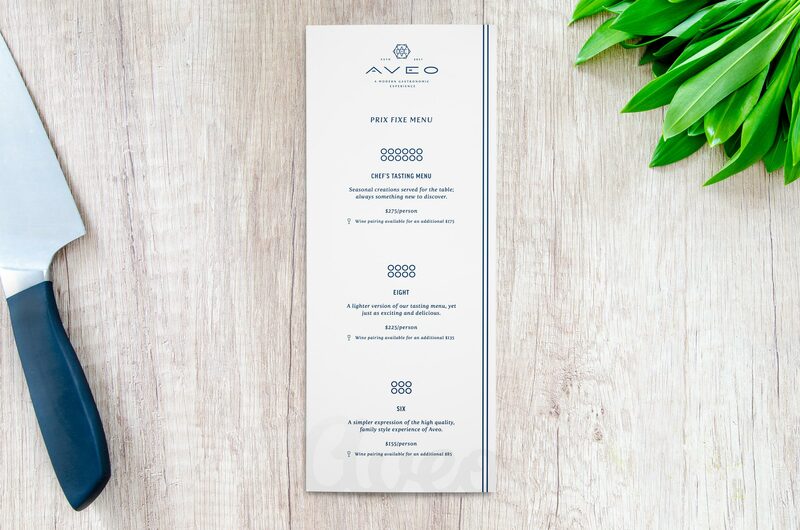 Aveo is a new and exciting way of thinking about American cuisine that is more about the wholistic experience of Aveo than any one dish. 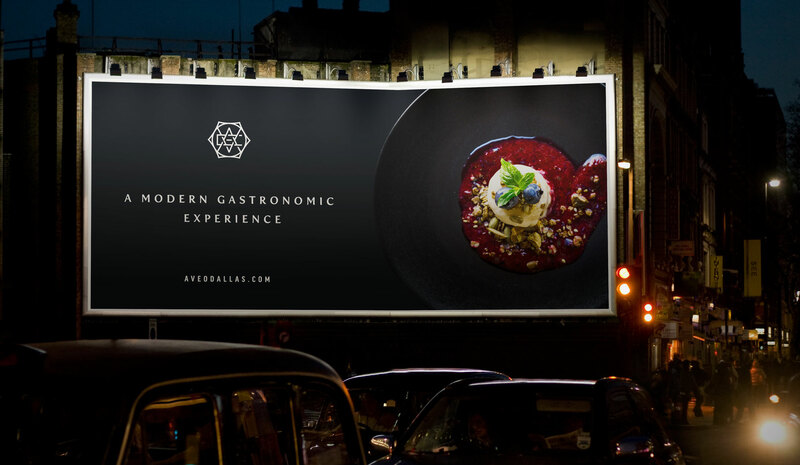 The brand focuses on the concept that the restaurant experience today begins online. 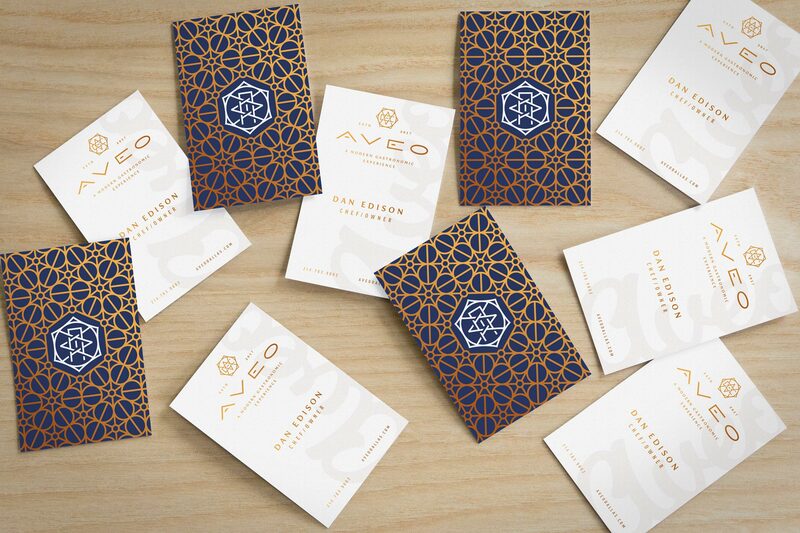 The overall visual identity is consistent at every touchpoint and reflects the true nature of Aveo. 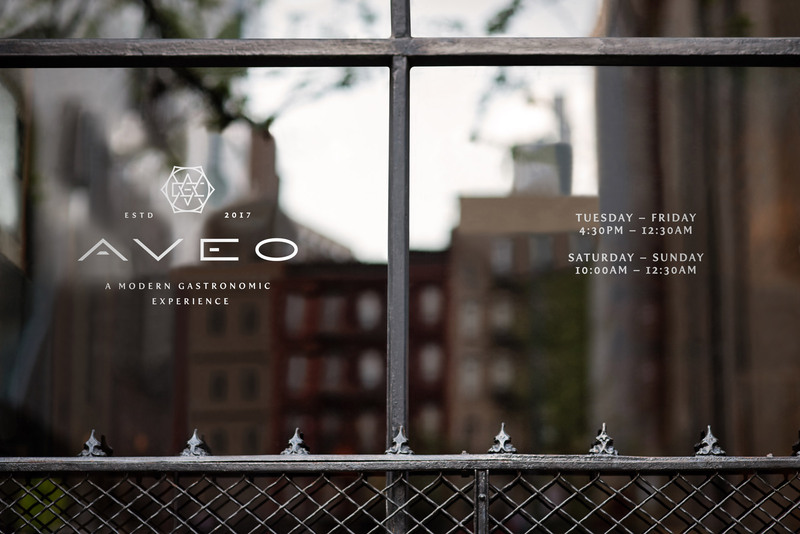 The Aveo wordmark sets the tone for what to expect during the rest of your experience with Aveo. Its no nonsense and clean line styles support the vision without becoming the focus. With the wordmark and logo leading the way, the rest of the brand falls right into place in the same spirit. The restaurant experience in today’s world of ratings and reviews inevitably begins online. The Aveo website is the first point of contact with new guests. Often the opinion of a restaurant is already before guests arrive based on their digital perception of what that restaurant is like. So a custom website is a huge opportunity to tell the story of Aveo to potential customers.